New York City, lovingly known as the Big Apple, is amongst the world’s most popular cultural destinations. 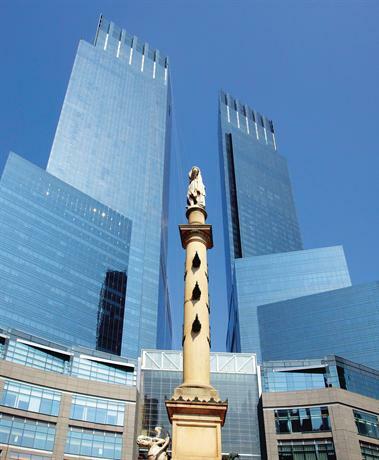 At its heart lies Manhattan, which is the financial and commercial center of the city. Some of the most iconic and world famous tourist sites offered by the city are the Statue of Liberty in New York Harbour, the 103-storey tall Empire State Building, and the vast Central Park area. Tourists who go to New York also love to visit Times Square, and perhaps watch a play at Broadway Theatre, which is arguably the most famous theatre in the world. With all the variety that New York offers, you should find a luxury five star hotel that can help you take in the city with comfort. 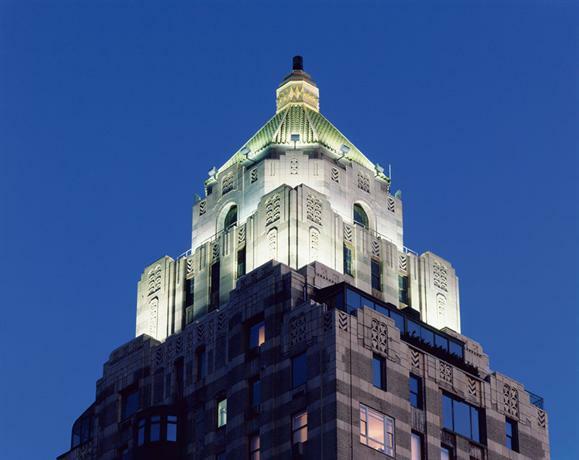 In this article we’ll describe the top 10 luxury hotels in New York. The Four Seasons Hotel is an unabashedly grand and extravagant hotel with high vaulted ceilings, marble floors and pillars, and over three hundred rooms and suites throughout its vast structure. However, despite the sheer enormity of its offerings, the hotel manages to exude an air that feels understated rather than oversaturated, subtle and classy rather than opulent. 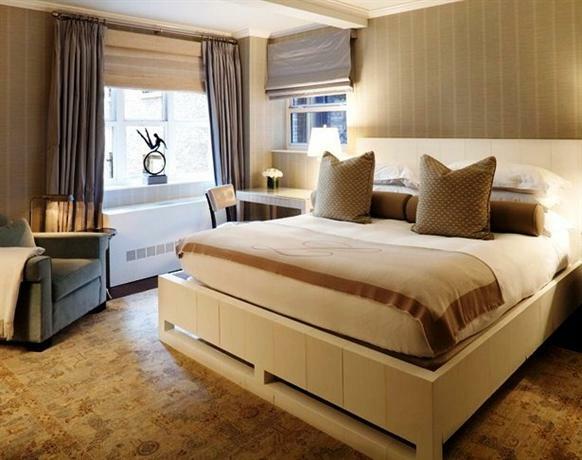 It is an incredibly intimate hotel that is sure to make you fall in love with the city. There are 386 rooms in totality, and all of them feature a stunning view of the city below. If you rise higher you can also start to see the Central Park and the Hudson, and the higher you are the more expansive your view. The rooms may be expensive, however the stay is undeniably pleasant and charming. If you’re looking for restaurants where you can indulge in a hearty meal, you need look no further. This unique hotel features two lovely restaurants — Ty Lounge, which features a spin on Korean-enthused dishes; and The Garden Restaurant, which serves classic American dishes whilst seated underneath acacia trees fanning out across the lobby. 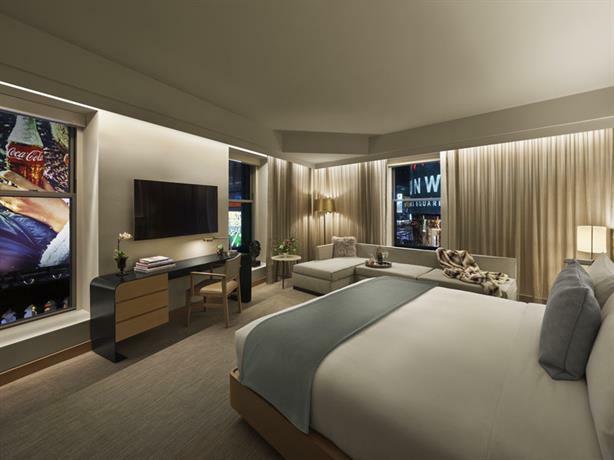 It is located in a part of Midtown that exudes luxury and elegance, and it’s away from the clutter and noise of Time Square, yet connected enough so as to give you easy access to all of New York’s splendors. The Park Hyatt hotel is sprawled across 25 floors in the 90-storey tall One57 high-rise in Midtown. 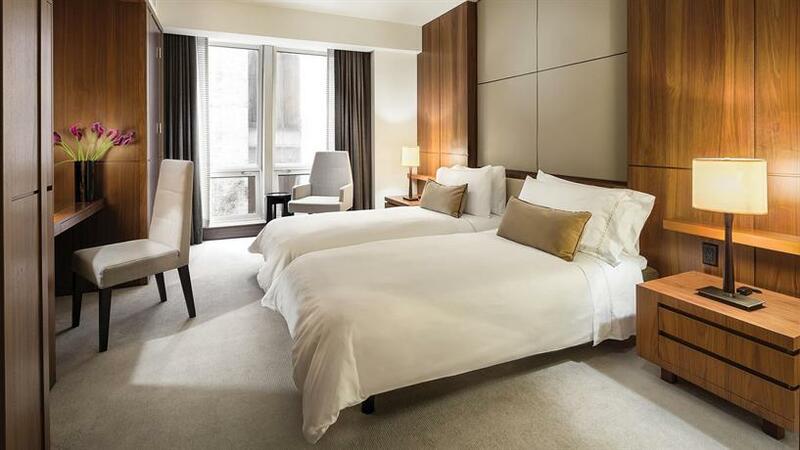 This luxury hotel is definitely located in one of the classier and trendier locations in New York, as Carnegie Hall is just down the street, and you take a short stroll to either Central Park or Times Square. The hotel goes for a soothing and neutral atmosphere with earthy beige and brown shades dominating the decorations. Even the patterns on the rugs and fabric are soothing, and the couches are of plush Italian leather. There are 210 rooms in all, and the hotel features over 300 contemporary works of art from popular and indie artists. The hotel is replete with tall glass dividers which provides the entire structure with a sense of transparency and light. Three of the top floors also feature a heated swimming pool with speakers underwater, playing some classic tunes off Carnegie Hall. One of the other really impressive aspects of this hotel is the unique service it offers. When you check-in, you are greeted by a staff adept at their iPads, wearing formals, and they take you up to your room in a private elevator while wirelessly communicating with the room staff to get your room ready before you even get there. The whole thing is carried out with crisp efficiency, ensuring that you don’t spend a second more than required in waiting around. It also makes one feel supremely important, which is a great feeling to have. This is an independent hotel in a city that is predominantly ruled by large corporations and conglomerates. The location of the hotel is about as well-connected as you could possibly expect. 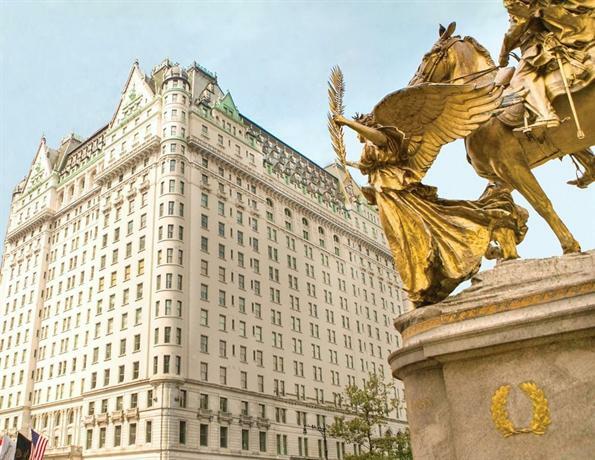 Located on Grand Army Plaza, you can literally treat Central Park as your own personal backyard. In addition to that, all the regular tourist spots are around the neighborhood, and as you leave the hotel you are met with The Apple Store, Wollman Ice Rink, and other trendy locations and stores. This boutique hotel is quite favored by European travelers and celebrities alike. One of the things that sets it apart is its attentive and friendly staff. Guests have to pass by lush gardens to enter the hotel, the lobby features an antique French desk, and you have to pass by cascades of wreathed flowers as you make your way to the elevators. The bathrooms are made in all-marble, with fine Italian furniture and linen. In fact, one might even say that the bathrooms have been treated with greater reverence than entirely necessary, for instance, is it really necessary to have the sinks and faucets plated in 24-carat gold? There are 282 rooms in all, and they’ve been designed in variations of 14 different styles, and as such there's plenty of different aesthetics to choose from. The hotel also features a hip and charming bar that gives off a distinctly mid-20th century vibe. If you aren’t in the mood to explore the city, you can simply lounge around the cocktail bar and interact with an eclectic group of guests. The biggest draw for this luxury five star hotel is its expertly chosen location. It’s located atop the Time Warner Center, to the south of Central Park, one of the most popular tourist attractions in New York. As such, the Mandarin Oriental hotel is located within close quarters of all the important parts of the city, with plenty of charming restaurants, cafes, and shopping centers around. The hotel looks over the stunning Hudson River, and the spa service in the hotel is one of the most popular in the city. Overall, there are 202 rooms along with 46 suites, and they range in variations of 11 different aesthetic sensibilities, though all of them have been touched with an Oriental charm. As is customary for Mandarin Oriental hotels, they try to bring an aesthetic sense that is a fusion of eastern asian motifs and accents, along with a rather retro and contemporary style. This feels at once homely, current, and yet exotic. While the lounge chairs and furniture are done up in an Art Deco aesthetic, the walls and ornaments feature a lot of purple and gold accents. You can even find lovely orchids decorating the hotel common areas. As far as fine-dining is concerned, you couldn’t do any better than their restaurant Asiate, which features a lovely view of the city along with a ceiling that’s been decorated in the stylings of glimmering tree branches. 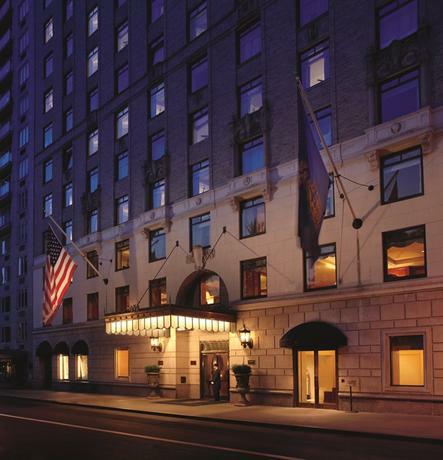 Located on the Upper East Side, this luxury five star hotel is on one of the most elite parts of the city. 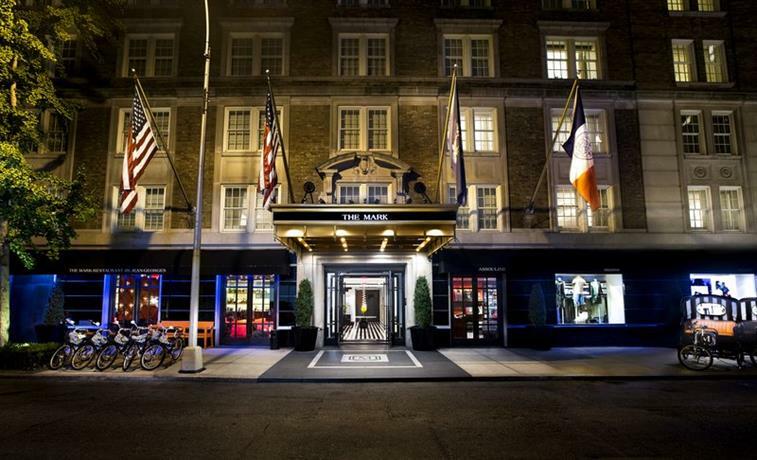 As such this hotel firmly places you in the trendiest neighborhood of the city, though within walking distance of Central Park, Museum Mile, and even the more populist attractions of Times Square. The neighborhood is also replete with several boutique fashion outlets and cafes. The lobby of the hotel is quite opulent with marble floors, marble pillars, and full length mirrors. With 74 rooms, the hotel often feels snug and offers its guests the intimacy of a large private house. Some of the rooms even feature fireplaces, and the interiors are primarily made in a conjunction of mahogany wood furnitures, and silk draperies. One of the best rooms at the hotel is the Garden Suite, which comes with two spacious terraces, one of them featuring a mini-fountain, and the other featuring a dining arrangement big enough for four people. Another great attraction is The Pembroke Room which has been designed with a kind of old-world charm, with plush carpeted floors, and a general vibe that is sure to speak to the inner romantic in all of us. However, even the standard rooms are great in their own rights, equipped with coffee tables, marble tiled bathrooms, and work desks as well. The Mark couldn’t possibly be located in a better spot. The hotel itself is at the end of a street that is flanked by lush trees on either side. 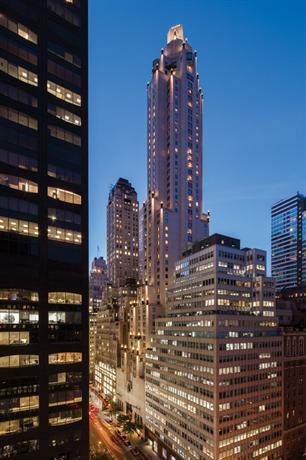 Located in Madison and 77th, it is a mere block away from Central Park and Museum Mile. As such, it is in the very heart of one of the most culturally active sites in the whole city. The hotel itself has been constructed in a modernist style with sharp bold geometric lines and colorful interiors. The hotel bar features a pink back light, and the rooms have plenty of sconces and chic furnishings. The rooms are elegant and technologically heavy with a control panel that can handle the lighting, regulate the temperature of the room, or do anything else you like! 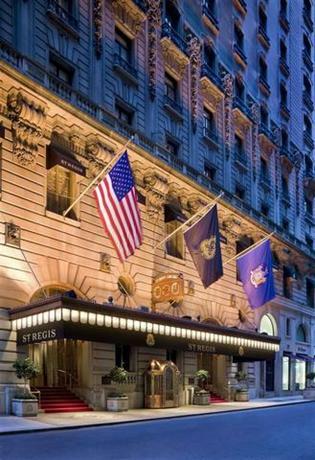 This luxury five star hotel is centrally located, walking distance from Broadway and Bryant Park, and within reach of the Metropolitan Opera. It was originally built in 1906, had a rocky go in the middle of the century, but then it bounced back up as one of the most charming and hip places in New York. The lobby itself is constructed in plain browns and beige shades, which might seem wholly unremarkable anywhere else, but here it almost stands as a snide commentary on the extravagance and sensory overload of Time Square. The rooms are sound-proof to help guests at once be a part of Time Square, yet find a sanctuary from it if they so choose. This luxury hotel feels like it’s meant for the Elite of the world, in every sense of the word. It has a spattering of Art Deco motifs and designs judiciously used to give off an old-world vibe in an otherwise modern piece of architecture. Some of the rooms bear a “classic” aesthetic with a parlor and a fireplace, whereas some suites are built in a more traditional sense with separate bedrooms and private terraces. It’s located in the Upper East Side, and is a mere block away from Central Park. The Langham Place has a huge selling point in its strategic location, equidistant from Times Square, Grand Central Station, and the Empire State Building. As such, this luxury hotel brings you smack right in the centre of populist life, high art and fashion, and leaves you brilliantly connected to the rest of the city as well. Many guests have left the hotel thoroughly believing it to be a microcosm of New York City itself. 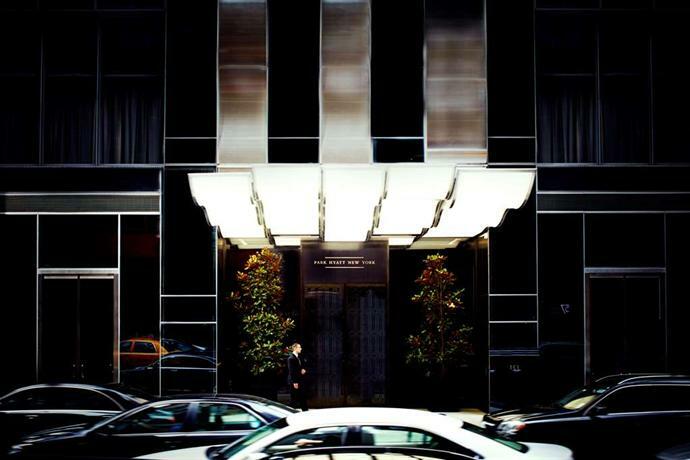 This unique luxury hotel is situated on the Upper East Side, on one of the most luxurious neighborhoods in all of New York. In addition to that it’s right across from Central Park, so you can wake up every day to go jogging down the park or you can enjoy a view overlooking the world-famous park. Another great attraction for The Carlyle is the fact that it’s located on the same street as a lot of other famous boutique stores and top tier cafes and restaurants. As such the immediate neighborhood of the hotel creates a wonderful mini-ecosystem that you never really have to leave at all, if you don’t wish to. 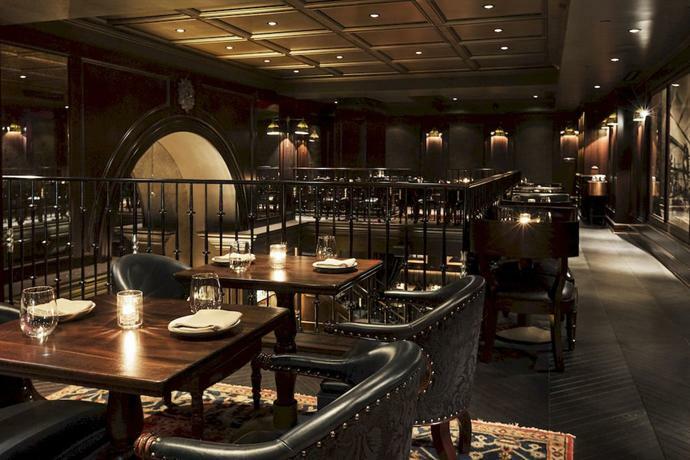 The NoMad hotel is yet another five star hotel that boasts a lovely location. It’s situated on Broadway, so if you're a fan of theatre then you can feast yourself to lovely theatrical performances every evening. The hotel is also located just a couple blocks from other prime attractions such as the Empire State Building, and the Madison Square Park. The hotel has been styled by french designer Jacques Garcia, who wanted them to feel like ‘home’ rather than like hotel rooms, as luxurious as they may be. This is accomplished through various means, by generously using framed artworks on the walls, and having a bunch of throw blankets, to give the rooms more personality and make them feel more homely and snug. You can even rent out laptops and iPads. 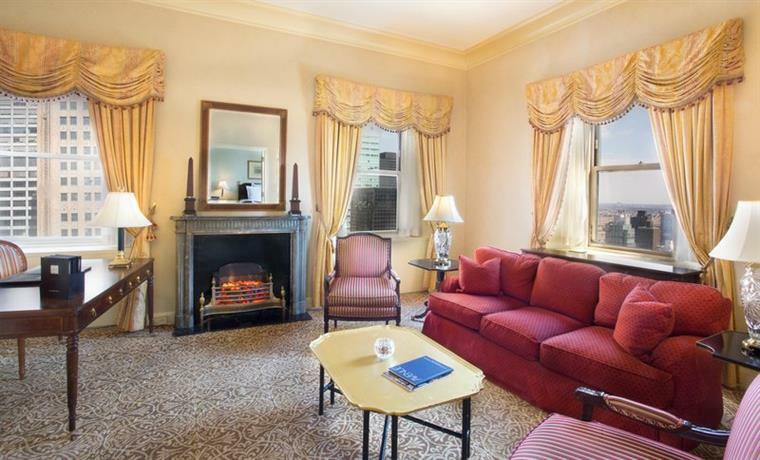 This is an extremely expensive but also very luxurious hotel in midtown Manhattan. Guests often laud the hotel for toeing the perfect balance between Old-World beauty and charm, fused with a sleek contemporary outlook. There are 238 rooms and suites in totality, and each of them features an aesthetic sense that comprises silk hangings, and rich blue accents, along with the ready presence of modern technologies such as Bose speakers, full-length glass walls, and luxury Remède toiletries. If you want to help yourself to some lovely custom-made cocktails, you can go to their in-house bar King Cole Bar. This Trump hotel is the very picture of lavish extravagance. 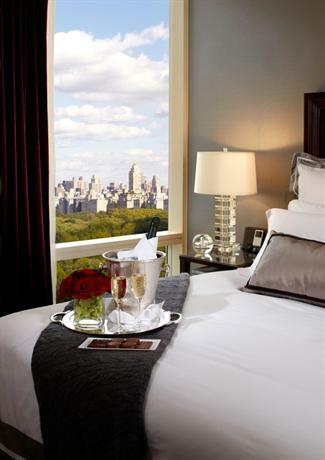 The hotel boasts grand views of Central Park, and features impeccable service. The bellhops always wear pristine white gloves, and you can avail the services of the concierge to make everything convenient for you. The rooms also come equipped with everything you might need, your own personal kitchen space, floor-to ceiling glass walls, and even 55-inch smart TVs. They have two restaurants — Jean-Georges and Nougatine — both of which are equally lauded for their service, ambience, and the meal. This Ritz-Carlton hotel is located in a far more accessible area than its counterpart. It’s located in prime Manhattan, right next to Central Park. There are 259 luxurious rooms, and all of them feature beautiful linen, and deep tubs that you can immerse yourself into while helping yourself to some of the Asprey toiletries. You can help yourself to some delicious cuisines at the Auden Bistro & Bar. Despite how expensive a stay at this hotel can be, all guests have confirmed that it’s worth every penny.